Many people do not realize that traffic violations—even minor infractions—can have long-term consequences beyond just paying a ticket. 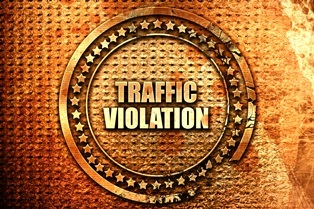 In Virginia, traffic violations can affect your driving record and your criminal record if the violation is a misdemeanor. Because of this, you do not want to make the mistake of not taking a traffic violation seriously. With the help of an experienced traffic law attorney, you may be able to get the charges dismissed or reduced to an offense with lesser penalties. Driving too slowly. Virginia Code §46.2-877 makes it illegal to impede traffic by driving too slowly and comes with a fine and three demerit points. Improper turn. Virginia Code §46.2-846 provides that it is a violation to make a right turn from other than the right-hand or turn lane or to make a left turn from other than the lane nearest the center lane. The penalty is a fine and three demerit points. Failing to yield. Virginia Code §46.2-820 through 829 makes it a violation to fail to yield the right of way in a variety of driving situations, such as failing to yield the right of way to oncoming traffic when making a left turn. The penalty is a fine and four demerit points. Failing to obey a traffic signal. Virginia Code §46.2-833 requires drivers to obey traffic signals. Failure to do so may result in a fine and four demerit points. Failing to obey a highway sign. Virginia Code §46.2-830 requires drivers to obey high signs. Failure to do so may result in a fine and three demerit points. Speeding. Virginia Code §46.2-870 through Virginia Code §46.2-875 sets the speed limits on highways and other Virginia roads. Depending on how fast a person is speeding, he may be assessed up to six demerit points and have the conviction remain on his driving record for 11 years. Driving without a license or with a suspended license. Virginia Code §46.2-300 prohibits driving without a license, and Virginia Code §46.2-301 makes it illegal to drive on a suspended or revoked license. This may result in a Class 1 misdemeanor—the most serious misdemeanor—with a penalty of up to one year in jail, $2,500 in fines, and suspension of a driver’s license. Subsequent violations may result in felony charges. Reckless driving. Virginia Code §46.2-852 provides that regardless of the posted speed limit that it is a violation of the law to drive recklessly or in a manner that endangers a person. Virginia code §46.2-862 provides that a person may be charged with reckless driving for driving 20 miles per hour or more over the posted speed limit or over 80 miles per hour. This is also a Class 1 misdemeanor that may result in jail time, significant fines, and/or suspension of your driving privileges. Hit and run. It is a violation of Virginia Code §46.2-894 for a driver to leave the scene of an accident without stopping to provide contact information and to give help to any injured victims of the wreck. Passengers can also face criminal charges for not reporting the accident when the driver fails to do so, and both the driver and passenger may be charged with other offenses for leaving the scene of an unattended vehicle accident. This can result in a Class 5 or 6 felony or a misdemeanor charge depending on the severity of the accident. Penalties can include a prison or jail sentence, fines, or both. Driving under the influence. Virginia Code §46.2-266 prohibits driving under the influence (DUI) of alcohol, driving with a blood-alcohol level of .08 percent or higher, or driving under the influence of marijuana or a drug or other intoxicant. A first offense is a Class 1 misdemeanor, but under Virginia Code §46.2-270, a third or subsequent conviction can result in a Class 6 felony conviction with a maximum prison sentence of five years and a $2,500 fine. Virginia law also imposes mandatory minimum sentences for certain subsequent convictions, as well as in cases with an elevated blood alcohol level. If you just pay your ticket, you need to realize that this is an admission of guilt and has long-term consequences on your driving and criminal record. Even if you believe you are guilty, you may have defenses that may result in the dismissal of the charges or the reduction to a less serious offense. Lack of probable cause to stop you, improper administering of DUI-related tests, and violations of your constitutional rights are a few of the defenses you may have. To learn how we can help you achieve the best possible outcome, call our office today to schedule a free consultation.